It’s not often that I’ve seen myself “WOWed” by a product or technology. I must admit, the last time it happened was while watching the launch of iPhone! But UBI Interactive has truly blown me away with what I just saw. Completely unbiased by the fact that the founder and CEO of this startup was a classmate of mine back in college, the product and its potential is quite commendable. With a Microsoft Kinect and a “household” projector attached to a laptop running the ubi application, this can perhaps change the world in a lot of different ways! übi interactive | Interactive Information Display enabled by übi [26.01.2012] from ubi interactive on Vimeo. And it truly works, quite unlike its “conceptual” predecessors! Here is an actual demo! This product has brought out the true essence of “Surface”! It was touted as an “iPad” challenger in India, simply due to its pricing at around $35. Aakash simply was not able to keep up with its initial hype received at its launch in 2007. While there are several theories debated amongst the elite politicians and technologists in India and outside, including questions raised on India’s innovation capabilities, the Canadian based company, DataWind , which has invested heavily on this product, has already announced the launch of part 2, in this saga – The Aakash 2 . Expected to have double the specifications of its predecessor, the manufacturing of this product is set to start in August. With the failure of this Android-based version 1 mainly attributed to the lack of planning and management of the supply and demand and the amazingly high percentage of failures on the few that actually made it out to the consumers hands, I guess I will just sit back and watch where the version 2 takes us, before actually getting overly excited about it. 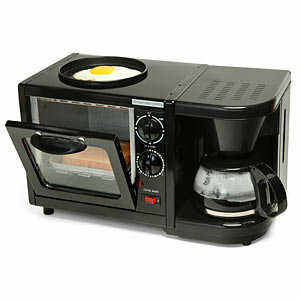 For a person such as me, who just moved into a new apartment and who just manages to wake up and run to office in the morning, a 3 in 1 breakfast station such as this will be just ideal! These wise men from the mountains say, “The world is shrinking… you may have heard the adage”. So then why not have an appliance as big as a toaster to do something way more than just toast! I was particularly impressed back when thinkgeek listed a Solar Charger for all mobile devices (except of course the laptops). And I thought to myself, there is so much real estate in any mobile device that perhaps one day someone would think about replacing it with renewable sources of energy. Needless to say, I was overjoyed to see this article from Engadget on smart panel research done by Apple and Microsoft and the subsequent patent filed. Section 0031 under this patent talks about auxilliary sources of power using solar panels laid across the cover attachments. Offbeat: It might just be worth taking a look at this ground breaking datacenter that Apple is setting up at North Carolina. Solar farm as Wired calls it, the solar grid is breathtakingly impressive. The news of the patent took me to a territory which I typically tend to avoid – The Microsoft Surface! I had been slightly skeptical since the concept was first put out to public back in 2007 . But 4 years later, I must admit the tablet version that has evolved from an overhyped kiosk is actually not-so-bad! The zune-like backstand with an Apple like cover did initially put me off. However the fact that they have a keyboard and trackpad on the cover and have packaged it along with the tablet as such, rather than as an add-on accessory is actually ingenious! Kudos to Microsoft. Finally I do see a good enough competitor to iPads. Android based tablets never attracted me as much as this. Gone are the days of G.I.JOE Toys ! 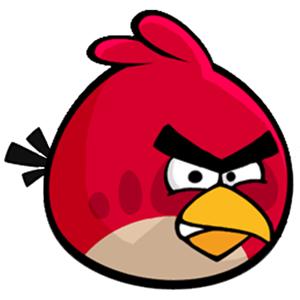 Angry brids have taken over! Wall Street Journal reports on how plush toys are being rescued by angry birds . There was a time when video games were influenced by toys and comic books. The trend seems to have take a 360 degree turn!